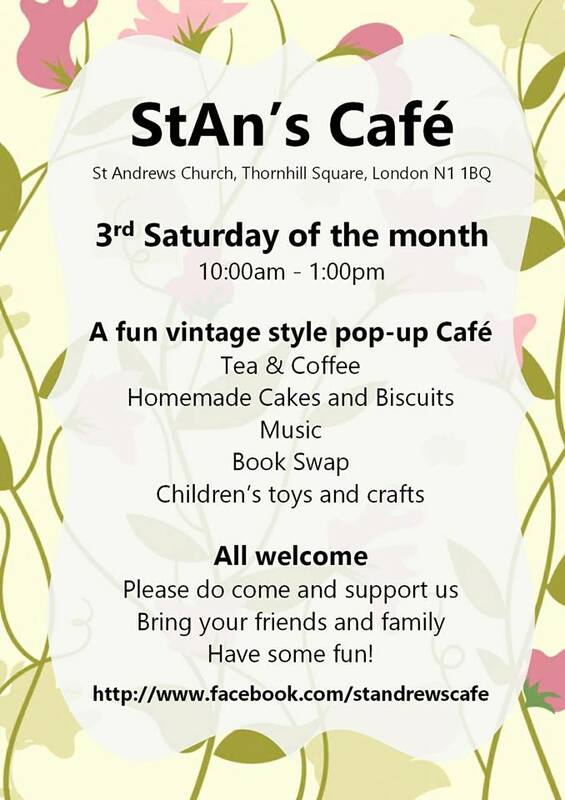 StAn’s Cafe – This Saturday! Do join us this Saturday from 10am – 1pm at our pop up Cafe. We will be serving delicious homemade cakes and tea & coffee. There will also be music, a book swap and Children’s toys and crafts. All are welcome.